Nursing is one of the most demanding professions. Not only will you be taking care of the sick and the elderly, you will also be spending most of the time on your feet. Therefore, it’s important that you are comfortable enough to deliver your duties and responsibilities, efficiently and effectively. Shoes remain one of the most important components in a nursing environment. Apart from giving you a professional and smart outlook, they also help in alleviating the effects of strain, stress, and fatigue, which comes with spending long periods on your feet. If you are looking for a great pair of nursing shoes, here are some of the best available options. If your work environment involves standing for long hours, then you should consider slip-on shoes. They are quite stylish and light. The KEEN Utility Men’s PTC slip-on work shoe is a good example. Although they are created using tough leather, they don’t require any break in period. In fact, they are more comfortable as compared to many types of dress shoes. Apart from that, the slip-on design makes them even more attractive, since you don’t have to spend time and energy tying knots and lots of laces. When you combine these excellent features with the ever-reliable KEEN sole and their low weight, you have great shoes for attending to those long shifts, especially if your work involves walking on hard floors. As some of the best nursing shoes for arch support, these slip-ons come with a removable insole, which you can customize according to your needs, style, and preferences. With these shoes, sweating will never be an issue, since the uppers are made of breathable material, which allows free circulation of air. When it comes to safety, these clogs meet ASTM standards. Therefore, you can rest assured that they will always live up to their expectations. These are also stylish and durable, highly comfortable and perfect for long shifts. And without a doubt, they are among the best nursing shoes for guys you can find on the market today. If you are looking for the best nursing shoes for arch support, then you don’t need to look any further. The Dansko Men’s Professional Oiled Leather Clog are designed to meet your needs, especially if your work involves long shifts. Thanks to their design, you can easily slip them off whenever you get a break – thus allowing your feet to breathe. The Dankso Men’s Professional clogs follow the natural contours of your feet, thus offering premium support and comfort, regardless of the amount of time you have them on. Furthermore, they come with a spacious toe box, which gives your toes enough room to wiggle, spread and relax. On the other hand, their durable exterior protects your feet from uneven surfaces. Their lining is treated with antimicrobial properties to prevent odor while the inner structure offers the much-needed stability to minimize pronation issues. With a flexible and tough rubber outsole that can endure extreme levels of heat and cold, these clogs will walk with you throughout the year, whether it’s winter or summer. If you are looking for stylish and comfortable clogs, then you should get yourself a pair of Sanita Men’s Professional Cabrio. Apart from taking great care of your feet, these clogs will deliver unmatched levels of comfort throughout, thanks to their slip-resistant outsole, padded insole, and a roomy toe box. As you probably know, tightness in the toe area can be painful, especially if you wear shoes for a long period. The good news is that these shoes come with ample space to ensure your toes remain as comfortable as possible. This roomy toe box also protects your toes against conditions such as blisters, calluses or corns while making them good nursing shoes for bunions and hammer toes. Sometimes you might encounter wet and slippery floors during your work. But as long as you are wearing these clogs, you don’t have to worry about any of such issues. They come with a slip-resistant outsole, which ensures you can walk comfortably on these surfaces, making them perfect for kitchens and hospitals. When you consider all their amazing features, you can rest assured that you are getting value for your money. From the weekend into the workweek, the men’s Pro XP Mule clogs deliver an entire day of comfort and style, thanks to their lighter construction, padded instep, and a roomy toe box. These nursing clogs for men come with a removable, contoured PU footbed which provides exceptional levels of cushioning. On the other hand, their rocker bottom outsole does a great job of absorbing shock and energy return while encouraging forward motion to enhance comfort. These Dansko nursing clogs also come with a thermoplastic toe box, which offers durable protection and reinforcement while allowing your toes to wiggle comfortably. Also, their leather-lined synthetic foam footbed ensures that your feet remain fresh and odor-free by absorbing sweat and releasing perspiration. When it comes to natural stability, you will struggle to find clogs that come close to what the Pro XP Mule offers. They are fitted with a PU heel which minimizes pronation and torque while ensuring you can walk naturally without undue stress on your feet and legs. If your work entails long standing hours or working on wet and slippery floors, then you have the perfect solution for your environment. With these nursing clogs, you have guaranteed comfort and support all day long. The Dansko Wide Professional Clog sets the standard when it comes to comfort and quality. It features rich leather uppers for ample protection to your feet and a spacious toe box to give your toes enough room for movement. In addition, their rocker bottom design promotes natural strides while minimizing feet fatigue during those active days. Once you slip these shoes on and walk a few meters on them, you will notice that they have exceptional shock absorption. In fact, their levels of shock absorption are almost comparable to sports shoes. These clogs also feature firm foot and arch support as well as a contoured midsole, which keeps your feet supported, secure and comfortable. When you buy these clogs, you are making the best investment for your feet. As for durability, Dansko has already taken care of that. They are constructed using premium leather, while the outsole is made of rubber to give you long-lasting durability. These nursing shoes are perfect both for indoors and outdoors. It might take a few days to get used to these clogs, but eventually, you will be glad you decided to purchase them. Dansko is a renowned brand when it comes to high-quality clogs for individuals working in the hospitality industry. It’s common for someone in this industry to spend more than 8 hours standing, and that’s why you need comfortable shoes to support your feet while minimizing fatigue. Those shoes are none other than the Dansko Men’s Karl. These shoes are designed to ensure easy slip-on and removal thanks to their open-back style. Their outsoles are made of premium rubber. Also, the oiled leather finish is resistant to moisture, while the soles are slip-resistant, which makes these leather nursing clogs perfect for wet and slippery conditions. Their finish is smooth and clean, which makes them easy to maintain. You just need to wipe them with some water and soap, and you are good to go. If you have wide feet in the toe area, then you will appreciate the spacious toe box present in these clogs. It’s designed to make sure that your toes have ample room to move, which helps to reduce fatigue. Working in a hospital environment can sometimes be demanding, especially if your shift involves standing for long hours. If you don’t have the right type of shoes, you can end up with fatigue as well as other feet problems. The good news is that it doesn’t have to reach that point, thanks to the Sanita Men’s Karl Clog. With these nursing shoes for arch support, you can rest easy knowing that your feet are sufficiently protected. You might be wondering why you should purchase these clogs and not the others on the market. Well, they offer a wide range of benefits. First, they are made of oiled leather. Apart from being durable, these oiled leather uppers will also protect your feet against moisture and other wet conditions. Whether it’s during the summer or winter, you can wear these clogs all year round. Also, their rubber soles act as shock absorbers. Therefore, they ensure even distribution of body weight to reduce fatigue and pressure on your feet. These nursing clogs for men are also attractive and stylish, easy on your feet and constructed using the highest quality standards. They might be a little snug when you wear them for the first time. However, it will only take a few hours for your feet to get used to them. After that, you will be addicted to them. 8. Dansko Men's Professional Patent Leather. Dansko takes comfort to another level with the Men’s Professional Patent Leather Clogs. When you have these clogs on your feet, you will be feeling as if you are walking on air. They are lightweight, soft and cushy. Apart from that, they provide the necessary levels of support and comfort, to minimize or prevent foot pain and fatigue. These nursing clogs with patent leather are the ideal work shoes for acidic, greasy and wet conditions. Their leather is also easy to maintain since it just requires wiping with some soap and water. These leather clogs also come with a roomy thermoplastic toe box, which makes them good nursing shoes for bunions and people with wide feet at the front. Apart from the generous space inside, the toe box is also reinforced to make sure your feet are adequately protected, and your toes can wiggle with ease. If you are working for long periods especially in hot conditions, your feet might sweat. Luckily, you will never encounter any issues to do with sweat, as long as you have these shoes. Their non-allergenic leather sock liner absorbs sweat instantly, thereby eliminating any form of discomfort. They also come with a protective polyethylene heel counter, which allows your heel to move up and down comfortably whenever you are walking. The heel counter also delivers lateral stability while acting as a shoehorn. These clogs can withstand extreme levels of cold and heat, and they are duly certified by the American Podiatric Medical Association. Sandgren has been making clogs for many years, and they have mastered the art of creating comfortable, beautiful and high-quality shoes. With such high levels of craftsmanship, these nursing clogs for wide feet will keep your feet happy throughout the day. Created using the finest leather, these clogs deliver a unique look and feel, whenever you slip them on. You will love the quality of materials, the level of workmanship and outstanding comfort. Their upper is solid and durable while the beautifully tanned leather will feel amazing on your feet. You will also notice that the leather upper has already been oiled, which means you don’t have to incur extra expenses purchasing synthetic oils. These are made of natural materials, and they will not react with your feet. Since the base is made of wood, they might not be as flexible as other materials. However, you will only require a few days to get used to them. After that, you will enjoy wearing them – even if you are working round the clock. If you are constantly on your feet and you are looking for classy and comfortable shoes, then you should consider these clogs. These clogs remain a favorite among nurses and other professionals whose work involves standing for long hours due to their flexibility and stability. They can withstand almost any condition or surface you encounter in the course of your work. These durable and waterproof nursing shoes for high arches not only last long but also enhance your outfit’s style. If you don’t like dress shoes, then you can wear these, and no one at your workplace will even notice. When standing for long hours, your shoes should be flexible and comfortable on your feet. These shoes come with a super soft upper lining that offers the right amounts of flexibility. This lining also enhances their stability. Nobody wants a water-logged shoe when working in wet conditions. Luckily, you will never have to deal with such issues as long as you are wearing these shoes since they are highly resistant to water and any form of moisture. They will keep your feet dry regardless of your working conditions. Not unless you swim in them! If quality and comfort are the main things, you are looking for in nursing shoes, then no look further. A pair of Dansko Women’s Professional Mule from this legendary brand is just what you need. Nurses love these shoes, and it’s easy to see why. First, they stand the test of time. Their leather uppers are durable and easy to maintain while the wide heel enhances stability. Their instep features a padded collar which prevents your feet from chafing and blisters. The Mule might not be a very stylish shoe. However, it compensates for that with its wide range of vibrant colors and patterns. In fact, choosing the right color combination can sometimes be overwhelming. You will also appreciate the rocker-bottom design on these clogs thanks to its shock-absorbing capabilities. Also, their arch support delivers extra comfort while platform adds some height for shorter ladies. These clogs will fit regardless of where you work. And you can also take pride in the name printed on the sole. In short, just buy a pair! The Alegria Paloma comes with almost everything you would need in workday shoes. Its advanced design and construction makes it a class apart when it comes to comfort, style, and fitness. With its removable footbed, you can customize it with a specially designed insert if you have orthopedic problems. As much as you will feel slightly raised, it provides the right standing posture to ensure proper weight distribution in your back and legs. With lightweight and breathable leather uppers, you will never experience uncomfortable levels of heat or sweat. On the other hand, the flat and firm rubber outsole provides maximum contact with the ground regardless of the surface you are walking or standing on. On top of that, its toe box is extremely spacious thus allowing your toes to move freely. Therefore, even if you are working for long hours, your feet will remain happy throughout. And who doesn’t love happy feet? These nursing shoes for standing all day are also fitted with a specialized footbed – made of latex and cork – for utmost comfort. Also, the footbed contours naturally to your foot while providing a supportive framework for all widths and arches. As previously noted, you can remove the footbed and replace it with a customized one if you have a pre-existing condition. The Alegria Classic is an easy slip-on pair of shoes, designed for women who are always on the move. With a cork and memory foam blended footbed, these clogs will deliver sufficient cushioning without minimizing support. On the other hand, the rocking sole prevents pain in the heels and toes, thus making them great nursing shoes for metatarsalgia, corns, calluses, and tendonitis. They come with a rocker outsole, which improves your posture while alleviating pressure exerted on lower joints. Apart from pain relief, the rocker outsole also keeps the leg muscles engaged, which helps to tone your calves – without working out! If you have been looking for nursing shoes that have high arches without much success, then you should try these classics. Their footbed, which is made of memory foam, cork and latex are great for all-day comfort and excellent for supporting high arches. Apart from the cushy insole, their leather is extremely flexible, making it easy and fast to slip them on and off, especially when you are in a hurry. While you may find cheaper alternatives on the market, they cannot match the quality and value for money the Alegria Women’s Classic Clog deliver. Clogs are renowned for comfort, and the Women’s Kayla from Alegria are no exception. These shoes are supportive and comfortable. They will alleviate stress from your feet, all the way to the spine. As a nurse, you spend most of the time on your feet. Therefore, you require a pair of shoes that will ensure minimal fatigue while preventing the buildup of sweat and perspiration. The Alegria Kayla clog ticks all those boxes. It features a polyurethane midsole, which delivers utmost comfort without sacrificing support. This midsole cradles the metatarsal and the heel, therefore, minimizing pressure directed on the feet and the lower spine. These clogs have been designed with the highest levels of efficiency. Thanks to their combative stain technology, you can spend more time enjoying your shoes and less time on cleaning and maintenance. Despite being among the most affordable nursing shoes you can find on the market today, they don’t compromise on durability. With these clogs, you have comfort, style, support, durability, and peace of mind, all wrapped in one package, making them a cost-friendly option for all nursing students. Nursing shoes should be durable, comfortable and most importantly supportive. The Alegria Keli Professional shoe meets all those criteria. Apart from being functional, they are stylish, built to last and they provide maximum comfort. In short, they are perfect for those who spend plenty of time on their feet. They come with a removable footbed, which features a blend of cork, latex and memory foam. You can never go wrong with this combination when it comes to comfort and support. Their leather lining absorbs sweat and perspiration while enhancing their comfort levels. Their footbed design makes them good nursing shoes for arch support. Their outsole is made of premium, slip-resistant polyurethane that acts as a shock absorber while protecting you against unfortunate slips and falls. Their slip-on design makes it easy to put them on or remove them. Dansko is renowned for quality and comfort especially when it comes to nursing shoes for women, and the Pro XP clogs don’t disappoint. These shoes are specifically designed to handle tough working conditions. First, each shoe is created using stapled construction. The use of this technology eliminates most issues associated with machine-created shoes. Also, the uppers are made of high-quality leather, which has been selected through a rigorous testing process. Apart from protecting your feet against heat and cold, these will also last longer, which means money well spent. Safety should always be a priority in the hospital environment. A bonus of these clogs is that their rubber outsole is slip-resistant. Therefore, they will protect you against slips and falls, which can sometimes happen in wet and oily conditions. It doesn’t come as a surprise that these clogs have become the preferred footwear for nurses and others who work in similar conditions. You might be wondering whether these shoes can walk the talk. Well, they have a seal of approval from the American Podiatric Medical Association, which means you are dealing with quality and reputable product. People choose these nursing shoes for the operating room because of the comfort and stability they offer. Without a doubt, the Dansko Pro XP Clog is the workplace shoe for nursing professionals. From the moment you slip these clogs on, you will notice a considerable difference in comfort. Their upper material is made of flexible leather, which protects your feet and keeps you comfortable the entire day. Furthermore, the upper comes with some perforations to promote free movement of air. Even if you spend the entire day wearing these shoes, you will not encounter issues of excessive sweating. The antimicrobial and odor-resistant footbed keeps your feet fresh at all times. Also, the footbed is removable, which means you can replace it with the one that suits your specific needs. They also come with superior shock absorption, as well as top-notch energy return. Apart from that, their non-marking polyurethane outsoles are slip-resistant. Therefore, even if you are working in wet or greasy surfaces, you don’t have to worry about slipping or falling. Their toebox is roomy and flexible while their slip-on design makes it easy and fast to slip them on especially when you are late for work. When you combine their comfort, support, and antimicrobial properties, it’s easy to see why they have been ranked among the best nursing shoes for plantar fasciitis and bunions. Are you tired of wearing plain shoes at the workplace? If yes, then you should try a pair of these professional clogs from Dansko. Recommended by orthopedics, these clogs offer all-day support and comfort, especially for people who are on their feet most of the time. Their arch is designed to fit the natural arch of your foot while alleviating pressure whenever you are standing or walking. They also come with a padded instep collar, which reduces direct impact and stress on that area whenever you are walking. Apart from that, this feature also makes your walking as natural as possible. If you are wearing shoes for long periods, there is a high chance that your feet might sweat due to the accumulation of heat inside the shoe. The good news is that sweat will never give you discomfort as long as wearing these shoes. They feature a breathable PU footbed, which ensures maximum temperature control thus adding another degree of comfort. Also, their rocker-bottom minimizes fatigue. These nursing shoes for women also have secure stitching to make sure they are secure. They are stitched using high-quality thread, and you don’t have to worry about them falling apart. When you combine this stitching with the premium quality leather used on the uppers, you have one of the most durable shoes. Trusted by thousands of people around the globe, Dansko is synonymous with style and comfort when it comes to nursing shoes. The Women’s Felt Pro Mule lives up to those expectations. They deliver great arch support to ensure you remain comfortable throughout your shift. If you are suffering from plantar fasciitis, these nursing shoes will also offer relief. Their padded instep collar delivers comfort. Most nurses opt for sports shoes instead of nursing clogs because most of them tend to be dull. However, when you purchase these clogs, you are adding a new dimension of style to your wardrobe. Apart from being stylish, they can match with a wide range of outfits. You will also love the vibrant colors and the patterns. Therefore, you are not restricted to wearing them in the nursing environment alone. Experience the unmatched comfort of Danskos with the Pro XP Mule nursing shoes for women. These shoes come with a wide range of benefits to ensure optimum comfort and support for your precious feet. First, they have an anti-slip rubber outsole, which means that you can wear these shoes on different surfaces, whether they are wet, dry or greasy. Second, their arch support is on another level. They conform to your foot’s unique shape and form while alleviating pressure from your back, knee, joints, and feet so that you can go through your shift with zeal and energy. When you are working in the healthcare environment, you will have to move and stand a lot. The rocker bottom on these shoes minimizes tiredness while ensuring your walk is balanced, thanks to their shock-absorbing features. Order a pair of these mules today and enjoy the amazing benefits they have to offer. With such a wide range of models and brands on the market, how do you choose the right pair of shoes for your unique situation? Before buying a pair of nursing clogs, you need to consider the following factors. How much money are you willing to spend on nursing clogs? While answering this question, you need to remember that you will be wearing these shoes for 10 to 12 hours per day. Standing and walking for long periods can place a great amount of stress on your feet, unless you are wearing shoes with proper support and cushioning. Therefore, think of these shoes as an investment to your overall health and happiness. If you are comfortable and your feet are happy, there is a high chance that you will also be in a great working mood. On the other hand, if your shoes are giving you problems or you are encountering pain, stress and fatigue in your feet, you will not be able to deliver your duties properly. To avoid feet problems, you need to invest in the right pair of shoes. You should also remember that if you buy a cheap pair of nursing shoes, you will also be replacing them frequently and you might even end up spending more than someone who invested in a quality pair. It’s advisable to spend at least $100 in nursing shoes. As noted earlier, nursing entails spending prolonged periods on your feet. You will be moving back and forth, from one patient to the other as well as attending to other chores. Therefore, if you are on the market for nursing shoes, look for the model that offers ample support and comfort. You cannot compromise on comfort when it comes to nursing shoes. If your shoes are giving you problems, then the attention may shift from the patient to your feet. On the other hand, ignoring feet problems and continuing to wear compromised footwear may lead to serious problems down the road. Go for nursing clogs that come with memory foam cushioning, since they deliver the right combination of comfort and support. Support is also vital when it comes to nursing shoes. Shoes with great support will allow you to stand for long hours without experiencing strain, fatigue or any form of stress on your back and feet. Apart from being supportive, nursing shoes should maintain that consistency for extended durations. Shoes with squishy and ultra soft soles might feel nice on your feet when you wear them for the first time. However, they eventually lose their form and structure after some point. Also, if your shift involves moving a lot, then you should choose lightweight shoes. As much as they may not have thick cushioning, they will make your movement easy and stress-free. On the other hand, if you spend most of your time behind a desk, then you can get away with a heavier shoe that has thick cushioning. Apart from buying lightweight and comfortable shoes, you can also enhance your comfort by buying compression socks, which help to improve airflow and blood circulation. As much as you will not be working around heavy equipment, you shoes need to provide the right amount of protection. First, avoid buying shoes with an open toe, since they are exposing your feet to hazards present in this field. Shoes made of textile are fine. However, they may not provide all the protection you need, since moisture and other fluids might seep through. Leather provides the best protection, but you might have to sacrifice breathability. Clogs are among the best nursing shoes. As much as they are made of leather, they come with a loose fit, thus allowing free circulation of air. Regardless of the material you choose, ensure the upper materials are airy. You might sometimes come across unwanted moisture in the course of your work. For instance, if you work in the trauma center, exposure to fluids is inevitable. From saline to blood, such fluids can lead to infections or even damage your shoes. Therefore, as you look for nursing shoes, it’s advisable to choose a model with moisture resistance. Also, slip prevention is vital. As noted earlier, your work environment entails spills and messes. Buy a pair that delivers adequate slip resistance and traction. Hospital floors are exposed to a wide range of bacteria, germs, and other disease-causing pathogens. As you walk around the hospital every day, your shoes will be picking up these contaminants. Therefore, for health and safety, you should select nursing shoes that you can clean easily to minimize or prevent spreading these contaminants further. Most nursing clogs are made of leather, making them easier to clean and sanitize as compared to other materials. Furthermore, avoid shoes with too many textured surfaces, since they are vulnerable to accumulation of filth. Go for nursing shoes that are easy to clean and sanitize. Working as a nurse can sometimes be challenging. Therefore, you need to arm yourself appropriately to make your daily shift bearable. The right pair of nursing shoes will provide adequate support and comfort while giving you the extra energy you need to accomplish your duties as a healthcare provider – in the best way possible. Remember there is nothing like the perfect shoe for all nurses. Nursing Footwear: Tennis Shoes, Clogs or Crocs? Footwear made specifically for the nursing community isn’t really all that new. They’ve been around for many years. But with the advent of new technologies in shoe manufacturing as well as advanced materials which make footwear more comfortable and healthy for folks — like nurses — who are on their feet all day in sometimes hazardous situations, it’s important to note that nursing shoes have come along way. Available are casual shoes, crocs, athletic shoes, and of course the ever-popular clogs. We’ll focus here on these types of options — for men and women — and the importance of the different types of features and why they are important. Nurses have a unique demand when it comes to footwear. Of course, they have to go with whatever type of uniform they must wear, but since nursing requires a lot of time on their feet, walking, running, quick movements, and walking on hard, slick surfaces which sometimes gets wet and slippery, the type of shoe they require can be tricky to identify. But shoe manufacturers have really risen to the occasion in the past few years, as nurses now have thousands of shoes from which to choose from. And many hospitals, clinics, and doctors offices have relaxed footwear standards, so now casual footwear such as clogs and crocs have become acceptable to wear. This allows for a greater amount of comfort and protection. After all, after a shift which can sometimes last from 12-14 hours, a nurse’s feet will take a pounding, so the right footwear is of vital importance. The most popular form of shoes chosen is athletic sneakers, clogs, crocs, and casual shoes. Each facility may have certain requirements when it comes to footwear — no open-toed shoes, heels, etc. — but for the most part, nurses complaints over the years have been heard, so comfort and foot protection is a top priority. So let’s take a look at the types available, as a guide to this list. Athletic shoes tend to be the most common choice within the nursing community. They provide the perfect balance and also tend to be the most acceptable no matter where you work. Since most healthcare facilities have hard floors, athletic shoes and track or running shoes are ideal because of the comfort and they’re made for constant pounding on hard surfaces. Modern athletic shoes come with many kinds of options and styles, are exceptionally flexible, lightweight, come in a variety of styles and colors, take into account certain foot ailments, and designed for shock absorption which comes with constant standing and walking on hard floors. They also come with excellent slip-resistant technology, can be slip-on, laceless, and built to last. Many athletic shoes are constructed with features for long-lasting comfort, made with materials such as memory foam, or lining that is moisture-wicking, and molded for people with issues such as low arches, the need for ankle support, heel problems, and plantar fasciitis. Many styles of athletic shoes are made for folks that do a lot of walking or running, and this equates well with the amount of time nurses spend on their feet. As with any type of shoes, it’s important to know what fits well, the design and purpose of use, so trying them on first is an ideal choice. Clogs have become the trendy choice for use by the nursing community. Why? Who knows, they’re seen quite often on certain nursing-based TV shows, but then again, maybe it’s because they’re just so easy to slip in and out off, and are so comfortable. In addition, they’re also excellent when it comes to heel and arch support as well as the naturally protective design. They are mainly made with a closed toe design, with an open back with a rear strap (sometimes). 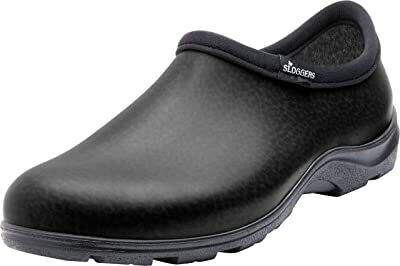 Clogs also tend to be universally made with slip-resistant rubber, have toe guards that are reinforced, are waterproof, and have phenomenal arch support. Materials used to make clogs varies from leather, resin, and suede. At first glance, crocs don’t seem like more than just glorified flip-flops or slippers. But the market for crocs has expanded tremendously, so much so, an entire line of crocs are made for more than just casual wear. Crocs are constructed out of a solid-foam resin, yet are exceptionally sturdy and comfortable. They have almost a religious-type following, as many nurses swear by them for comfort, support, and style. Similar to clogs, they tend to come in closed-toe with a low heel design, usually with a heel strap attached. Some come with vents. Many nurses who have foot ailments swear by them and many podiatrists actually recommend them for patients who suffer from certain foot problems as crocs tend to provide maximum comfort. They are also remarkably durable, and many nurses find them extraordinarily fashionable, and the styles and colors are as vivid as the imagination allows. It’s true that some medical facilities may not allow their employees to wear crocs, so it’s a good idea to check with the facility you work for before purchasing. And there are crocs made nowadays with no exposed air vents and closed heel/toe designs, which many facilities demand. In addition, there are pros and cons no matter the type of shoe you buy, so be sure to check into these before purchasing. But since there are so many types, styles, and shoes to choose from, you’re bound to find the perfect shoe for you. You’re off to a good start by perusing this article and checking out this list. If you have certain foot ailments, it’s a good idea to check with your doctor or podiatrist to check what type of shoe your medical professional recommends. She updated this page on 2019-02-05 and will continue to update it as time goes on. 1.8 8. Dansko Men's Professional Patent Leather. 4 Nursing Footwear: Tennis Shoes, Clogs or Crocs?